Milan offers the possibility to explore the city on board of the Hop on-Hop off bus by City Sightseeing. The famous red double-decker bus has been running in Milan since 2010. Milan City Sightseeing runs all year long with three lines and 7 buses. Here you can find information about the Milan City Sightseeing tours. Tickets are available for 24h (22 €) or 48h (25 €). Free admission for children in the 0-5 age range. Tickets for children in the 5-15 age range cost 10 €. You can hop on and hop off the bus whenever you want. An audioguide is available on board in 9 languages. With the Tourist Card you save 10% on the Milan City Sightseeing tours. 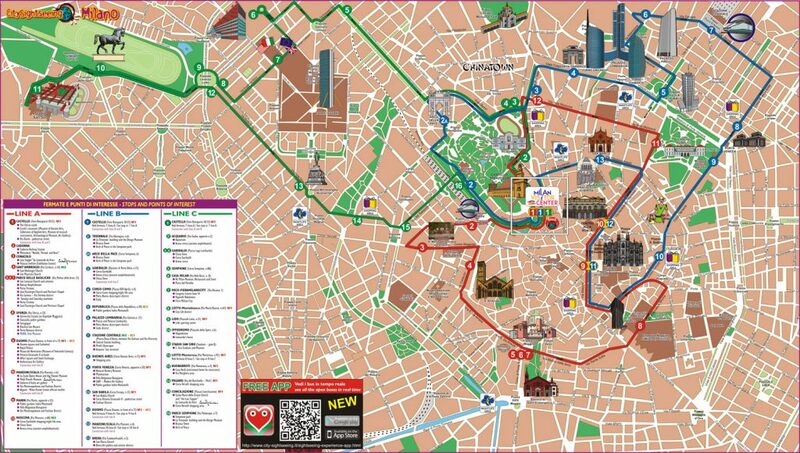 Line A (red line) is the city center line; during this tour you will see the most famous places of Milan like Castello Sforzesco, the cathedral (Duomo), Santa Maria delle Grazie and Brera district. The winter timetable is valid from 10.15 a.m. to 05.00 p.m. from Monday to Friday; on Saturdays and Sundays the bus runs from 09.55 a.m. to 05.00 p.m. The bus runs every 50 minutes during the week and every 25 minutes during the weekend. 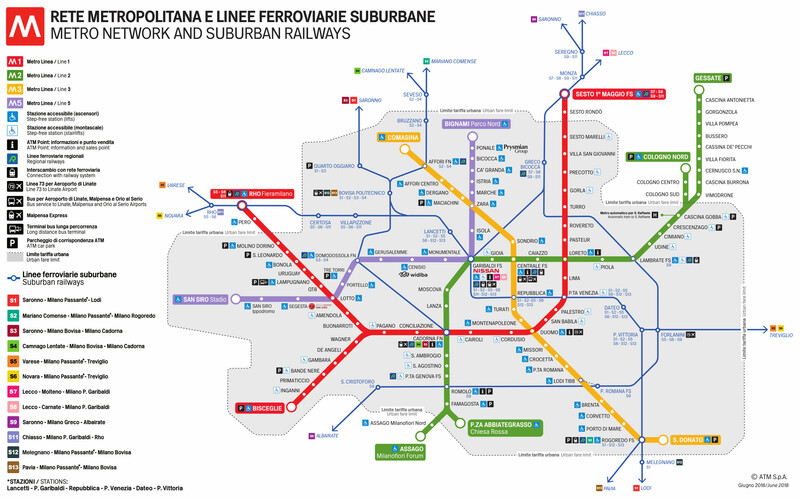 Line B (blue line) is the best line to visit the new areas of Milan like Porta Nuova and City Life and the amazing Sempione Park. The winter timetable is valid from 09.40 a.m. to 05.00 p.m. from Monday to Friday; on Saturdays and Sundays the bus runs from 09.40 a.m. to 05.10 p.m. The bus runs every 40 minutes during the week and every 25 minutes during the weekend. The winter timetable is valid from 10.30 a.m. to 4.05 p.m.